It was a perfect day with early morning fog being driven off by the sunshine before racing started on the three-mile course at Abernyte. 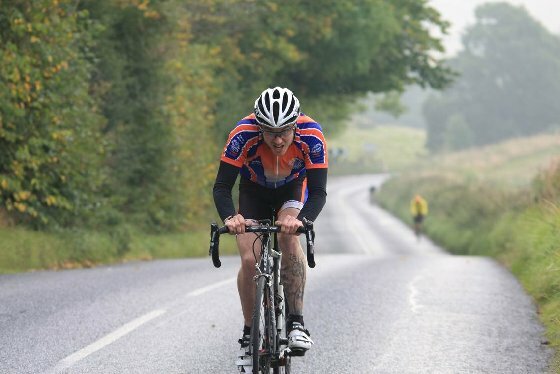 Twenty riders took to the start to compete in the Dundee and District Hill Climb championship. Barry Wilson (Dundee Thistle) defended his title with a course record of 9:42, helped by the still day and perfect conditions. A strong challenge was mounted by Russell Duncan (COG Velo) with 10:04 but he was pipped to third by Johnny Graham (Team Right Move) with 10:00. Best lady was Julie Erskine (Granite City RT) with 11:06. Fastest Junior was Finn Harrod (Discovery JCC) with 10:29, the same time as the fastest youth A, Danny Hedley (Discovery JCC). Youth B champion was Andrew Merry (Discovery JCC) in a time of 12:19. The organisers would like to thank Commissaire, Brian Sproul, all the volunteers and to Perth and Kinross Council for the use of the Abernyte Primary School grounds.